As the sun sets over the Kalahari Desert, it casts a last look on the dusty earth and just for a second time stands still and the African plain glows with an almost otherworldly shade of deep, rich orange. 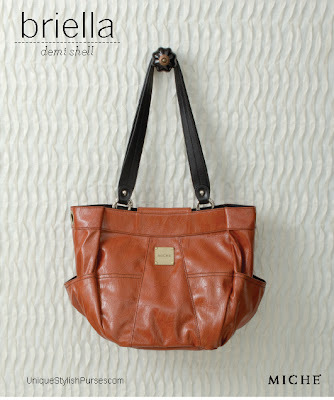 This color is perfectly captured in the Briella Shell for Demi Bags. And you’ll love the contrasting black stitching details on soft, textured faux leather. Side pockets and antique brass hardware too!